2012 ASID Texas Gulf Coast Chapter Schenck & Company was honored to receive the Best Use of Flooring award for this Memorial-area foyer. To achieve this elegant and welcoming look for a Memorial – area foyer, Schenck & Company created a mitered herringbone pattern using domestic white oak with a European white oil finish. 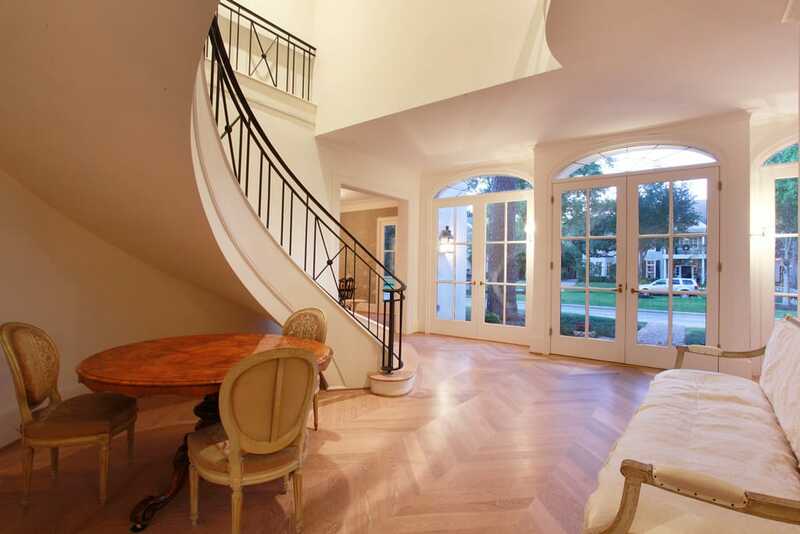 The lightness of the wood and the openness of the glass doors keep the area bright and airy.